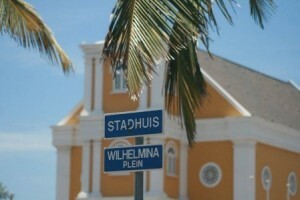 WILLEMSTAD, PHILLIPSBURG -In the handling of big cases, the Prosecutor’s Offices of Curaçao, St. Maarten, and of Bonaire, St. Eustatius and Saba, will be deploying more than one Prosecutor, Attorney General Guus Schram announced on Sunday. In the recent past, the Prosecutor’s Office had “good and successful experiences” in big cases such as the “Hato Shooting”; the “Bientu” case involving money laundering and tax evasion; the “Babel” case against former Prime Minister Gerrit Schotte and his partner in life Cicely van der Dijs on Curaçao; and the “Menam” case involving the shooting of police officer Gamali Benjamin on St. Maarten; in which several Prosecutors were involved in the handling of these cases.According to Attorney General Schram, comprehensive and long-term investigations will be increasingly handled by several Prosecutors in a so-called case team (zaaksteam). This is to contribute to the quality of the investigations and is to prevent “vulnerabilities” when a case is being handed over to a different Prosecutor, the Prosecutor’s Office said. The Prosecutor’s Office is accountable for all acts carried out by different Prosecutors during an investigation, as the Prosecutor’s Office is legally one, indivisible organisation. The Prosecutor’s Office will also be deploying more than one prosecutor in the “Maximus” case, involving the murder of politician Helmin Wiels on May 5, 2013, on Curaçao. The Prosecutor’s team in the Maximus case will consist of highly-experienced Prosecutors. One of them has served as an Attorney-General for years, the Prosecutor’s Office said. According to Schram, using several Prosecutors in one case fits in the continued development of the Prosecutor’s Office, and in its perspective for the future as described in the vision document 2016-2021 for the Solicitor General’s Office.